Brook Web Works is committed to providing quality web design and Internet marketing services to the Fox Valley small businesses and organizations. We are based in Greenville, Wisconsin with a focus on Appleton and surrounding areas, yet we have partnered with clients all across Wisconsin. We will design a professional website for your business that is individually tailored to meet the needs of your company. Whether you need on-line sales capability through an e-commerce site, or just a small informational “on-line pamphlet,” we will work with you to design a website specific to your business. You can start with one of our website design packages to find a plan that fits within your needs and your budget, or if you require a specialized website with a unique interface and functionality, we will be happy to develop a customized website plan for you. Building you a website that effectively represents your business and communicates your product, and services are just the beginning of our service to your company. In building your website, we place a high priority on “White Hat” search engine optimization (SEO) techniques so that your website will be ready for high search rankings as soon as it is launched. Once your website is live, we will work with you to develop effective and affordable Internet marketing strategies to attract more visitors to your site. 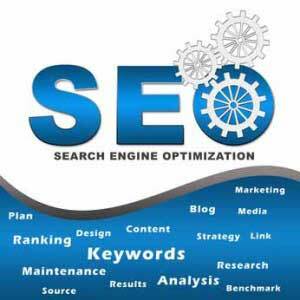 Combining White Hat Search Engine Optimization techniques with effective Internet marketing strategies, our website design approach helps your website catch the attention of the visitors you want through increased traffic, and supply the content that will keep them coming back. Our complete range of professional web design services includes all the elements needed to give your website the advantage over your competitors online. 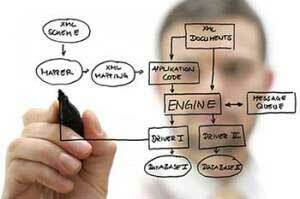 Our small business website hosting services will meet the needs of your small business website. Unlimited server space, transfer volume and E-mail accounts, We have the servers to power your website. With Triple redundant backups, Anti-Span and Malware Scans, you can be sure that your website is safe secure. Of course, every successful website starts with a good domain name. Brook Web Works offers affordable domain name registration and domain renewal to help you find that ideal domain name for your website. We also offer domain research and recovery services to help you recover a domain that has expired or was “hijacked” by some unscrupulous domain registration company. Web Design That makes a difference. Please look through our site to find out more about Brook Web Works website design and Internet marketing services we offer. Learn how we have helped our clients in Appleton and surrounding areas, and throughout North East Wisconsin. We are sure that once you learn the advantage that Brook Web Works offers you, your choice for professional web design and Internet marketing will be easy. Contact us today to get started. Choose Brook Web Works…Helping you flow onto the web. Serving North East Wisconsin and the Appleton area since 2007.